Although job descriptions can vary quite a bit between companies and salaries are subject to regional adjustments, this should give a fairly accurate representation of the current market-value for most commercial heat treating positions. An important note: compensation packages in the heat treat industry have advanced rapidly over the past few years. As the labor market has tightened, companies have had to increase wages to attract the resources necessary to run a successful operation. In many cases, the employer is offering non-cash incentives as well, such as more vacation time, the ability to work from home and profit sharing or bonus programs. General Manager: Some GMs have Plant Manager responsibilities as well, but for our purposes, we’ll assume not. The GM is more the outward “face” of the company and typically does not get overly concerned with tactical day-to-day issues in the plant. Rather, the GM focuses on dealing with customers, addressing any emergency issues that arise and is ultimately responsible for managing the P&L of the plant. A good GM is worth his proverbial weight in gold. Salaries for experienced GMs start at $110k minimum and can exceed $160k+. Sometimes, GMs are also incentivized with equity and/or performance bonuses. Plant Manager: PMs are responsible for the day-to-day operation of the plant and oversee all employees, either directly or indirectly. The PM will usually not have P&L responsibility, but will manage and oversee all other functions of the plant. PM salaries range from $90k up to $125k or more and typically also offer performance bonuses. Plant Metallurgist: Metallurgists will sometimes also act as the Quality Manager and/or Lab Manager. The Plant Metallurgist’s main responsibility is over the various processes within the plant. Compensation for metallurgists varies wildly depending on experience, but for a non-manager, salaries will usually fall in the $75-95k +/- range. Quality Manager: Sometimes a Metallurgist will fill this role, but more often it is a non-degreed person with hands-on experience who has risen through the ranks. They will typically supervise a staff of quality technicians and will run the quality department and usually oversee audits. Sometimes, they will also have lab responsibilities. Salaries for experienced Quality Managers are between $70 and $90k, but can easily creep into six-figures if they will be supervising a large staff or have extensive audit knowledge. 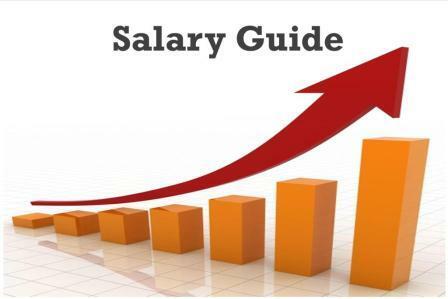 Sales Engineer: Two types of compensation plans are prevalent for sales. One type of plan is salary only, commensurate with experience. The other is salary plus commission or bonus. As is the case for OEMs, compensation depends on how collaborative a sales effort the company uses, if independent reps are involved and the philosophy and preference of the company. For a salaried Sales Engineer, you can expect base pay of $75-100k, plus car allowance/company car/mileage. For a commissioned Sales Engineer, the base may be closer to $55-75k + whatever commission is earned and car allowance/company car/mileage. Compensation plans for sales can be complex and we will provide an in-depth analysis of how sales professionals are incentivized in a future article. Maintenance Supervisor: A case could be made that Maintenance is the most important role within any heat treat organization. Without a good preventative maintenance plan and good repair capability when furnaces do go down, a commercial heat treater is out of business. Most of the time, Maintenance Supervisors are non-degreed professionals who have worked their way up from an hourly position on the floor. Over the past 2-3 years, there has been an uptick in demand for qualified Maintenance Supervisors and salaries have risen as a result. Whereas 7-8 years ago, many Maintenance Supervisors were earning $40-50k, we now see salaries nearing six-figures, especially when overtime is considered. VP/Furnace Operator/Other: This is obviously not an exhaustive list of positions within a commercial heat treater, but covers most of the middle management roles. VPs were intentionally left out because compensation can differ so much at the higher levels depending on the company, region and equity or bonus packages. Hourly Furnace Operators are always in demand, and while they sometimes don’t require much experience and are trained in-house, we often see knowledgeable furnace operators not only running equipment, but also providing quality control checks and resolving minor maintenance issues. Wages for furnace operators can be around $13-17/hour with overtime, but can stretch to $25/hour for someone with extensive experience and lead responsibilities. If you have questions about any specific position, please feel free to contact us at info@ispards.com. For over 20 years, ISP has been the premier recruiting solution for the Heat Treat industry. The salary information provided is based on information gathered over that time and from interviewing 500+ industry professionals per year. If you’re hiring now, or exploring new opportunities for yourself, we are uniquely positioned to be your partner for success and would love to work with you. Please contact us at info@ispards.com or 619-465-9621.